WEST SACRAMENTO, CA – The Sacramento River Cats, in conjunction with the San Francisco Giants, are thrilled to welcome back Dave Brundage for his second season as manager of the River Cats for the 2018 season. Brundage will be joined by a few new faces for the 2018 season at Raley Field. While Damon Minor will return for his third season as the River Cats hitting coach, he will be joined by new pitching coach Steve Kline and fundamentals coach Nestor Rojas. The new training staff will be made up of athletic trainer David Getsoff and strength and conditioning coach Andy King. Travis Higgs will round out the club’s 2018 field staff, and will serve as bullpen catcher and team administrator. An Oregon native, Brundage joined the River Cats in 2017 and compiled a 64-77 record in his 20th season as a minor league manager. Before coming to Sacramento, the veteran manager spent the previous four seasons with the International League’s Lehigh Valley IronPigs. In 2016, Brundage led the IronPigs to an 85-58 record, the second best mark in all of Triple-A baseball. Brundage, 53, made his managerial debut in 1995 with the Riverside Pilots (Seattle Mariners Class A-Advanced) but has spent most of his managerial career at either the Double- or Triple-A levels. Prior to his four seasons with Lehigh Valley, Brundage helmed the Richmond/Gwinnett Braves for six seasons from 2007 through 2012. He made his Triple-A debut in 2006 with the Pacific Coast League’s Tacoma Rainiers. Brundage has a career record of 1,435-1,392 (.508) in 20 seasons as a manager including a 857-858 (.499) mark at the Triple-A level. Drafted in the 4th round of the 1986 Amateur Draft out of Oregon State University, Brundage spent 10 seasons as a player in the Minor Leagues with the Phillies and Mariners organizations. Minor, 43, returns to the River Cats for his third season as hitting coach. In his second year with the team, Minor worked closely with Triple-A newcomers and top Giants’ prospects Christian Arroyo, Chris Shaw, and Ryder Jones as they prepared for their Major League debuts. A former Giant, Minor was drafted by San Francisco in 1996 and made his Major League debut in 2000. In 136 games over parts of four seasons, Minor hit .232 with 13 home runs. He set a career-high in 2002 when he played in 83 games and slugged 10 home runs, helping the Giants claim the National League pennant. While in the Giants farm system, he compiled a .277 batting average with 179 home runs and 648 RBI across nine seasons. Kline, 45, joins the River Cats as pitching coach after serving in the same role for three seasons with the Double-A Richmond Flying Squirrels and nine seasons overall with the organization. While in Richmond, Kline helped in the development of several River Cats standouts, including Tyler Beede, Andrew Suarez, and Tyler Rogers. Kline led the Giants Double-A affiliate to a top-five pitching staff (in team ERA) in each of his three Eastern League seasons, including a league-leading 3.12 team ERA in 2015. Kline completed his 11-year Major League career as a lefty reliever with the Giants in 2007. All told, he appeared in 796 MLB games with five different organizations. The Pennsylvania native was an 8th round selection by the Cleveland Indians in the 2003 draft out of the University of West Virginia. He set the single –season record for appearances (89) in 2001 while with St. Louis, and led the National League in games played as a pitcher for three consecutive seasons (1999-2001). Rojas, 34, will join the River Cats as fundamentals coach after managing the Class-A Advanced San Jose Giants in 2017. Since retiring at the end of the 2010 season, Rojas immediately began his coaching career and has been a bright up-and-coming coaching talent in the Giants organization. Rojas landed his first managerial job in 2013 at age 29 with the Arizona Rookie League Giants, and led them to a 41-14 record. Prospects (and future River Cats) Christian Arroyo and Ryder Jones each began their professional careers as teenagers under Rojas during that 2013 season. A native of Venezuela, Rojas played for six seasons in the Giants organization, including two stints with Triple-A Fresno in 2009 and 2010. Rounding out the field staff will be a new athletic training and strength and conditioning duo. David Getsoff will join the River Cats as the athletic trainer in his 10th season with the Giants Organization, while Andy King will be the River Cats strength and conditioning coach in what will be his fifth season with the Giants. Travis Higgs will return as the team’s bullpen catcher in 2018. LAS VEGAS, Nev. – Looking to avoid a series sweep, the Sacramento River Cats came out swinging as they ended their seven game road trip with a 14-7 victory over the Las Vegas 51s. Sacramento was backed offensively by 20 hits, one shy of their season high, as well as a 5-RBI day from Carlos Triunfel. Sacramento saw offensive outbursts from a number of spots in the lineup. The top three in the lineup for the River Cats combined to go 11-for-20 with 2 RBIs and 5 runs scored. 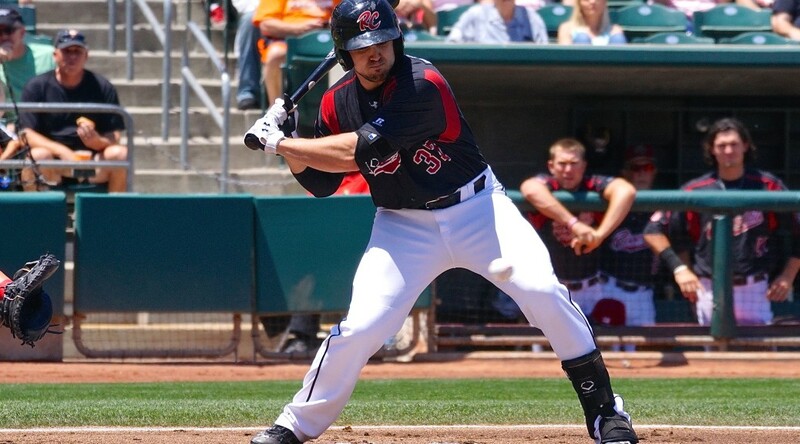 The River Cats also saw four players record at least 3 hits (Tomlinson 3, Frandsen 4, Lollis, 4, Triunfel 4). One of the key contributors to Sacramento’s offensive surplus was Triunfel. The infielder had a career day as he drove in 5 runs while going 4-for-5 with a walk, triple, and a run scored. The 5-RBI night is tied for the most in a single game by a River Cat this season (Jarrett Parker, 4/11 vs SLC). After a hot start the River Cats blew the game wide open with a huge six-run 7th inning. The scoring was started as Adam Duvall hit a pinch-hit grand slam following three walks. The home run was Duvall’s 16th of the season which is good for second most in the PCL. Kelby Tomlinson immediately followed Duvall’s blast with his first career Triple-A home run. This was the second time this season Sacramento hit back-to-back home runs. Right-hander Clayton Blackburn pitched 4.2 innings, allowing 2 runs on 7 hits while walking none and striking out four. Blackburn’s night was ended at just 78 pitches, as it was his first start since June 9. With the additions of Matt Cain and Jake Peavy over the last month for rehab starts, Blackburn had been pitching out of the bullpen. Sacramento finishes the seven game road trip with a record of 3-4. The trip featured several highlights, including the promotions of Kelby Tomlinson, Mac Williamson, and Josh Osich from Double-A Richmond Flying Squirrels. The road trip also marked the final rehab starts for both Cain and Peavy. The River Cats now head home now for the first time in eight days as they begin a short four game home stand against the Salt Lake Bees. Left-hander Nik Turley (2-2, 6.59) will toe the rubber for Sacramento in Tuesday’s series opener. Turley is coming off of his best start of the year, having pitched 6 shutout innings in a winning decision over the Fresno Grizzlies. Salt Lake will send righty Alex Sanabia (1-8, 7.02). First pitch is scheduled for 7:05 p.m.
LAS VEGAS, Nev. – The Sacramento River Cats dropped the series opener 6-3 to the Las Vegas 51s Friday evening. Kelby Tomlinson and Mac Williamson suited up as River Cats for the first time while Jake Peavy made his last rehab start for Sacramento. A five-run first inning from Las Vegas quickly put the River Cats behind and they could not overcome the deficit. Three runs were scattered across the last six innings as Kevin Frandsen went 3-for-4 with two RBIs. Jarrett Parker had two runs while going 2-for-4 on the night. 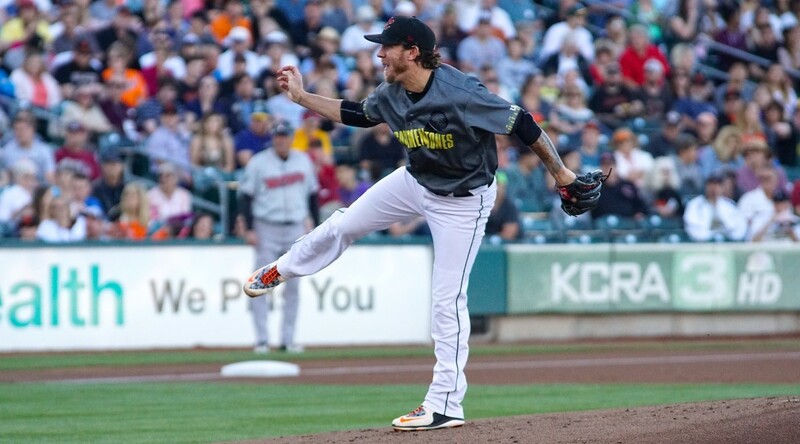 Peavy, 0-3 with the River Cats, struggled on the mound in his sixth and final rehab start for Sacramento, finishing his night with 6 runs on 9 hits and 1 walk with 5 strikeouts in 6 innings. The three-time All-Star, Cy Young winner, and two-time World Series Champion was rehabbing a back injury sustained early in the season. Peavy made just two starts for San Francisco (0-2, 9.39) before being placed on the DL. Kelby Tomlinson and Mac Williamson, both called up from Double-A today, made their Triple-A debut in tonight’s game. Tomlinson, a 26-year-old infielder, was selected by the San Francisco Giants in the 12th round of the 2011 First-Year Player Draft out of Texas Tech University. He had been with Richmond since 2013, where he played in a total of 223 games and accumulated 217 hits and 64 RBI. Tomlinson posted a .324 batting average with the Richmond Flying Squirrels this season prior to being transferred to Sacramento. Williamson, a 24-year-old outfielder, entered the 2014 season ranked by MLB.com as the San Francisco Giants’ No. 16 prospect. He was selected by the San Francisco Giants in the third round of the 2012 Draft out of Wake Forest University. This year was his first season with Richmond, where he had 76 hits and 42 RBI in 69 games played with a .293 batting average. Williamson went 1-for-3 against the 51s tonight with a walk and a single. Tonight marked the third consecutive game without an error for Sacramento. The last time they went three straight errorless games was 5/9-11 in Albuquerque. The longest such streak for the season is four, from 5/8-11 in Albuquerque. Tomorrow will be a battle of the lefties as Ty Blach (5-7, 4.00) takes the mound for Sacramento and Darin Gorski (4-6, 5.66) for Las Vegas. Blach still owns the PCL’s second best BB/9: 0.92 (9 BB, 87.2 IP) and his 87.2 innings pitched are the third most by a starter in the PCL this season. First pitch is set for 7:05 p.m. (PT). 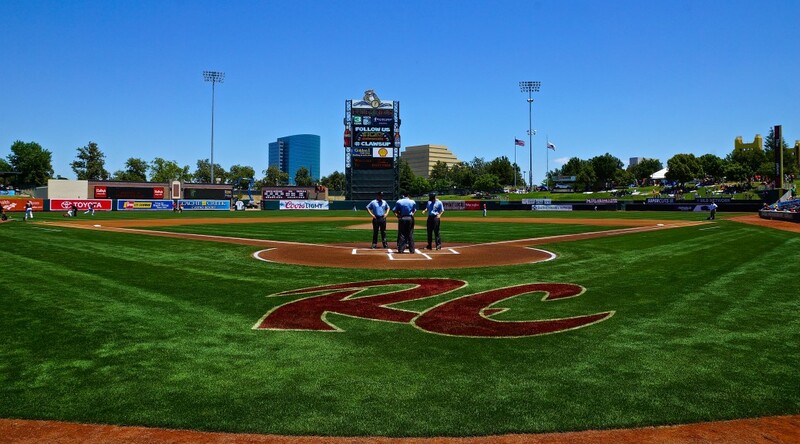 WEST SACRAMENTO, Calif. – The Reno Aces brought their bats to the ballpark Friday night, hitting three home runs off Sacramento’s starter Ty Blach. The homers were more than the Sacramento River Cats could keep up with, as they dropped their second straight to Reno, 6-3. All of the Aces’ six runs on Friday came via the long ball, as they took Blach deep three separate times. Right fielder Peter O’Brien struck first, hitting a solo shot to deep left field. The homer was O’Brien’s 14th of the season and tied the game at one in the fifth inning. First baseman Nick Evans was next, launching a three-run shot out to left-center and putting the Aces ahead 4-1 in the sixth. For Evans, it was his tenth of the season and RBIs 57, 58, and 59. The Aces hit their third home run in the seventh, a two-run homer off the bat of veteran Cody Ransom. For Ransom, the home run gave him four on the season and put the Aces ahead 6-1. The River Cats looked to mount a comeback in the bottom of the seventh, loading the bases with two outs. Ehire Adrianza came through with a big two-out, two-run single up the middle to score Ryan Lollis and Kevin Frandsen, cutting the Aces’ lead to three. That was all they could get, though, as Adam Duvall popped out in foul territory to end the inning. Trevor Brown picked up two hits in the loss, recording his seventh multi-hit game of the season. For Adrianza, his two RBIs give him three multi-RBI games on the season. Jack Snodgrass made his fourth appearance for the River Cats, throwing a scoreless ninth inning. Since joining Sacramento from Double-A Richmond Flying Squirrels, Snodgrass is 1-1 with a 4.17 ERA and 7 strikeouts in 7.1 innings. Snodgrass made nine starts with Richmond, but had only appeared out of the bullpen since being promoted to Triple-A. Blach took the loss, falling to 5-7 with a 4.00 ERA. The win went to Reno’s lefty Justin Marks (4-6, 5.68). Matt Stites recorded his second save. Game three is scheduled for tomorrow night as the Giants’ right-hander Matt Cain (0-1, 8.10) takes the mound for his second rehab start. Cain struck out seven in 3.1 innings in his last start and will look to pitch deeper into tomorrow night’s game. For Reno, it will be the right-hander Edgar Garcia (2-1, 5.65). First pitch is set for 7:05 p.m.
WEST SACRAMENTO, Calif. – The Sacramento River Cats sent the right-hander Chris Stratton (0-0, 2.08) to the mound Friday night for their series finale with the rival Fresno Grizzlies. The start was just Stratton’s third since being called up to Triple-A and his first at Raley Field. He held the hot-hitting Grizzlies to one run on two hits in six innings as the River Cats took the finale from Fresno 4-1. Since being called up from the Double-A Richmond Flying Squirrels, Stratton has looked excellent for the River Cats. In three starts, he has thrown 17.1 innings and allowed just 5 runs (4 earned). His Friday night start against the Grizzlies may have been his best yet, as he tossed 6 outstanding innings, allowing just 1 run on 2 hits and 3 walks while striking out 4. Stratton kept the ball down all night, recording 10 ground ball outs on the night. Stratton’s lone blemish came in the second inning, when he opened the frame with back-to-back walks. Fresno scratched across their only run of the night with a groundball out to advance the runners and a sacrifice fly off the bat of Robbie Grossman. The River Cats scored four times on the night while knocking out 10 hits and drawing six walks. Sacramento tied the game in the third on Darren Ford’s fifth home run of the season, a solo shot to right field. They took the lead when Travis Ishikawa lined a single to right, scoring Brett Jackson from second. With the hit, Ishikawa extended his hit streak to nine games, his longest of the season. He has also recorded an RBI in four of his last five games and now has 18 on the season. Sacramento took control of the game in the bottom of the eighth, adding on two more runs to extend their lead to three thanks to an RBI-single from Ehire Adrianzab. Stratton was followed by Jean Machi and Erik Cordier out of the River Cats bullpen. Machi, making his second rehab appearance, picked up his first win with two scoreless innings. Cordier brought the heat in the ninth, hitting 96-97 mph consistently and going as high as 98 mph. The save was his fourth. 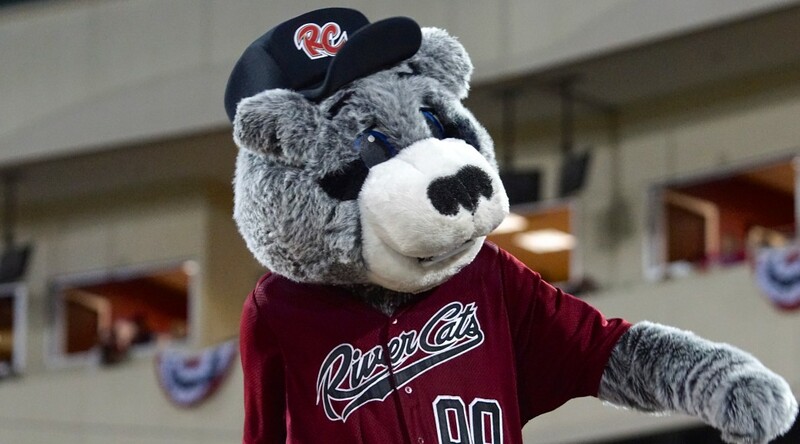 The River Cats welcome the Reno Aces to Raley Field tomorrow night for a four game series. LHP Nik Turley (2-3, 10.47) will get the nod for Sacramento while the right-hander Caleb Clay (4-5, 4.17) gets the start for Reno. The teams split four games in Reno earlier this season. First pitch is set for 7:05 p.m.